An understanding of the Body / Energy such as a person working in body therapy or a sincere desire to learn. Online ProgramThe Basic Vibrational Sound Program is suitable for those people / Practitioners who wish to work in the field of Alternative Health / Therapies and utilise as with a previously acquired knowledge such as Reiki, Hands on Healing, Spiritual Healing, and the like. Or who have some previous knowledge of the body and energies or a desire to learn and understand more. This Basic Vibrational Sound Program is suitable for those who wish to work with their own families/ friends and to alternative therapists and practitioners. i.e. Kinesiologists, Cranial Therapists, Remedial and Relaxation Massage Therapists, energy workers, and body practitioners. The Vibrational Sound programs and Sounds from Source mp3 programs are designed to release physical stresses and tensions and the many layers of stored memories held within the cellular level of the body, assisting the client or patient to release these memories and allowing for a more beneficial outcome of the specific therapy / healing/ modality/ work being provided by the individual practitioner. The sound program intentioned frequencies will also balance the energetic systems of the body quickly and simply. This balance can have an instant and profound effect on a person's wellbeing and can be maintained with the playing of the weekly corrective sound. These programs do not replace your modality in any way, they will however either give greater depth to your practice and assist in your clients own individual healing process, or stand alone as a clinical practice. 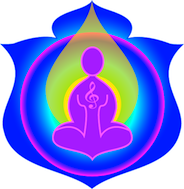 The Vibrational Sound Basic practitioner program comprises 6 Modules and 23 practitioner level downloadable vibrational sound programs. The Vibrational sounds have been separated into 3 groupings so as to allow you to be comfortable and familiar with the specific sounds as you work through the program modules. Explanation of the Vibrational Sound and Sounds from Source programs and how they work at the deep cellular level to assist the body to release locked in stresses, tensions and stored memories from the skeletal and musculature structures of the body as well as cell memory. Working with The Vibrational Sounds and Sounds from Source mp3 programs for clients / patients and the self. *This is an online program with the requirement that an assessment via quiz is completed the end of each of the 3 separate groupings. It is recommended that you have a full body balance before commencing the program and so you will be provided with access to a special student practitioner body balance pre recorded intentioned healing session. Basic Vibrational Sound Practitioner Program Modules – with the part payment option – you will receive 2 modules per month. Students are required to complete a quiz supplied with your download materials and email us the results for each of the 3 groupings prior to issue of the Sounds from Source Certificate. With this payment option you will have immediate access to the complete program including all 23 sound programs, all practitioner modules, all other pdf notes, all mp4 videos, all inclusions, access to the Practitioner only body balance and the audio of practitioner recommendations. You have 1 year to complete this Program. However it is possible to complete the program within 7 days. In some programs you will receive the allocated sounds in stages with each module that you complete correctly. In some programs you will receive the allocated sounds only after all course requirements have been submitted and you have passed the certification requirements. NB: Please remember that these programs are downloaded (channelled) spiritually based metaphysical tools that work with the innate ancient healing systems of the body. These tools are designed to assist the body from a metaphysical and energetic viewpoint and as such are not intended to be a replacement for medical treatment.